OPPO Realme 1 – The new affordable style statement is here! OPPO is all set to bring its first sub-brand in India to compete with the Xiaomi’s Redmi series. The new sub-brand would be called Realme and it would be aimed at the affordable segment. Their first smartphone would come with a Realme 1 moniker. This would be an online exclusive mobile brand that is set to bring the style and power to the sub-10K price segment in India. The Chinese smartphone maker believes that style and power are missing from the smartphones priced cheap in India. Well, of course, not every brand could afford to offer precisely crafted handsets with powerful specifications. So, far Xiaomi’s Redmi series has come close to offer an affordable mobile range below 10000 with its Redmi 5A, Redmi 5, Redmi Y1, Redmi Y1 Lite, and Redmi Note 5 smartphones. What does OPPO Realme 1 promise to do differently? – Real Style: The upcoming smartphone brand promises a beautifully crafted handset which sports fantastic design aesthetics. So, that users don’t have to compromise on the style statement just because of the lower budget. 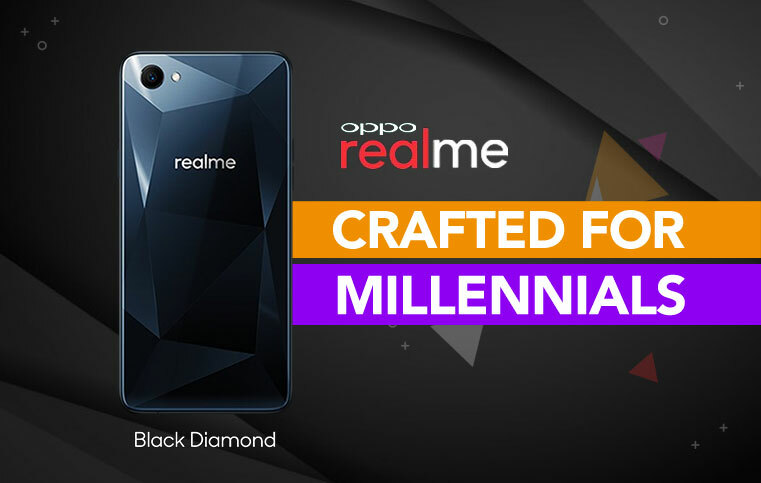 The first smartphone, Realme 1, is teased with a Black Diamond design on the rear. This will surely give an appearance of owning a premium finish handset. – Real Power: As Honor devices come with a moniker, “Powered by Huawei”, the Realme 1 might come with a moniker of its own, which might be called, “Powered by OPPO”. The Chinese mobile giant could introduce the best-in-class specifications as it teases on the microsite created on Amazon India. The company also hints that its new sub-brand would have access to all the proprietary technologies that OPPO has patents of. – Real Quality: The Realme proudly states that its handsets will go through rigorous testing phases to offer the highest quality smartphones to the end users. Cuz, of course, you deserve the finest. For instance, the company would be testing the Realme 1 for 10,000 drop tests, 100,000 button tests, 10,000 USB tests, and many more. This will ensure the smartphone users get would be of utmost quality. – Real Service: For a new brand it’s not an easy task to sell on a good after-sales service. But with OPPO as its parent company, the Realme smartphones could be serviced at 500+ authorized service centres across all Indian states. Plus, the company also promises a 1 hour guaranteed service for most cases. Imagine, if that is delivered by the company. What about the OPPO Realme 1 specifications? Well, unfortunately, nothing is confirmed yet from the brand. The curtains will lift on the May 15 when it goes on sale. But we have a good news for you. It is believed that Realme 1 would sport the similar design as adorned by the OPPO A3, which was recently launched in China. It is reported that Realme 1 would come with the same design aesthetics, but will sport inferior specs sheet. Hey, what about the Realme 1 price in India? Well, it might fall somewhere between 5000 and 10000, depending on the variants it comes. We caution you to take the above specifications and price information with a pinch of sale. OPPO has not confirmed these details regarding the Realme 1 release in India. The only thing that is confirmed by the brand is that they are planning to give a headstrong competition to Xiaomi’s Redmi series. Drop us a line or two in the comments section below with your feedback on this one. Previous article Best Phone Under 25000 in 2018 - No BS Guide for your next purchase! 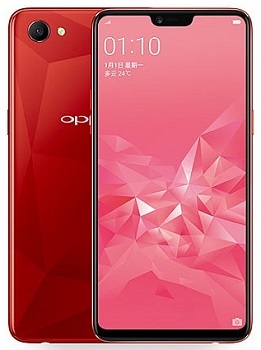 OPPO A83: Give your eyes a delightful bezel-less experience!